The Clue Crew is seeing stars! 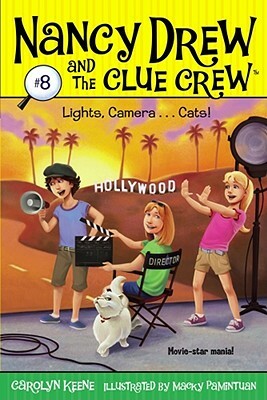 Look out -- the Clue Crew is headed to Hollywood! Carson Drew's client invited him to the set of a new movie -- starring the most famous cat in Hollywood, Fluffington! The girls are thrilled when Mr. Drew asks them to come along. They get their first taste of a real movie set and are even cast as extras in the film. Plus they get to pet Fluffington as much as they want. But then Fluffington vanishes. When no one can find the famous feline, the Clue Crew springs into action -- because a movie is not a movie without its star!